Our volunteers are the heart of our organization! We could not offer all the programs and services without our Volunteer Team! … from dog walking & cat cuddling, helping with our mounds of laundry, making pet therapy visits, showcasing shelter animals off-site or baking cakes & cookies for events… we would be struggling without our wonderful group of volunteers! 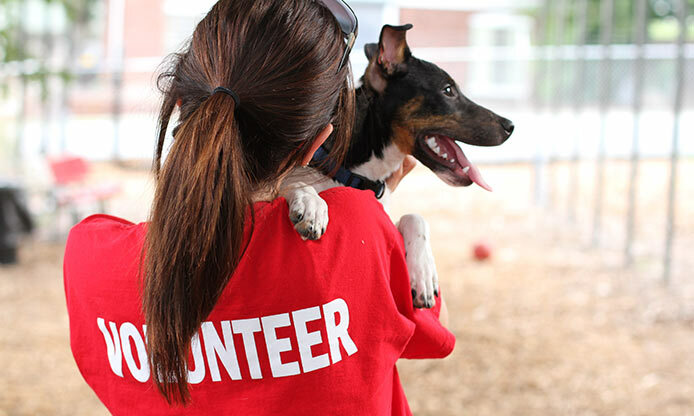 Our many volunteer opportunities work well with every schedule and time constraint. Take a look at the volunteer opportunities. **The V.I.P. (Volunteers In Pairs) Program welcomes children ages 10 – 15 with a parent / guardian over age 21 at our Hickory shelter. V.I.P. Teams must stay together at all times. Most volunteer jobs are available for V.I.P. teams, please see the job descriptions for age limits.